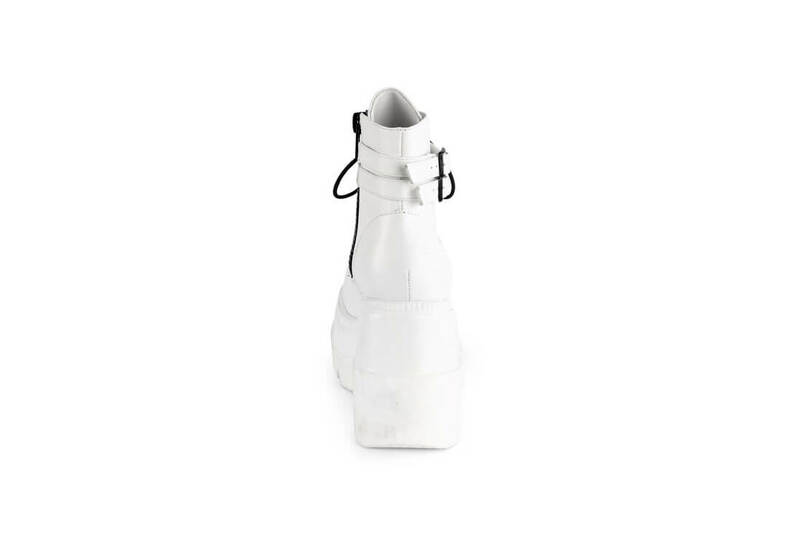 Are you ready for a night out in white? 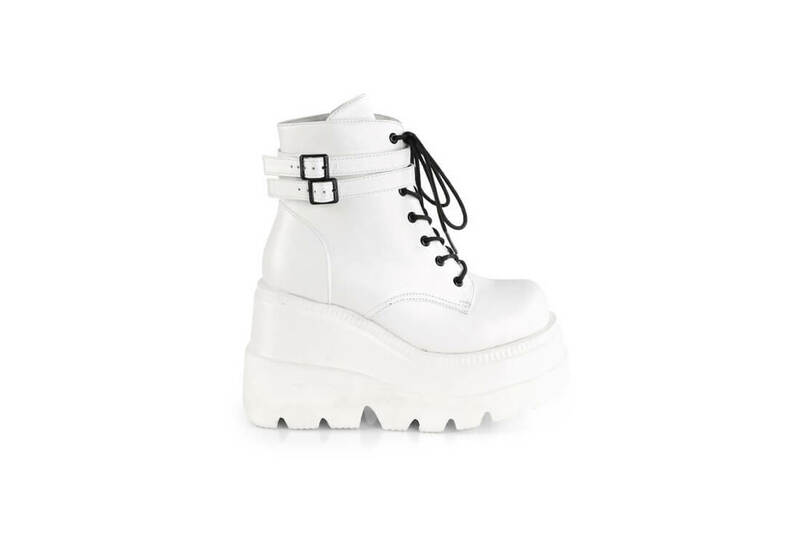 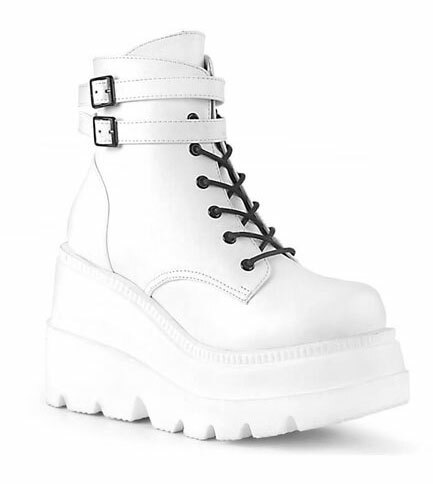 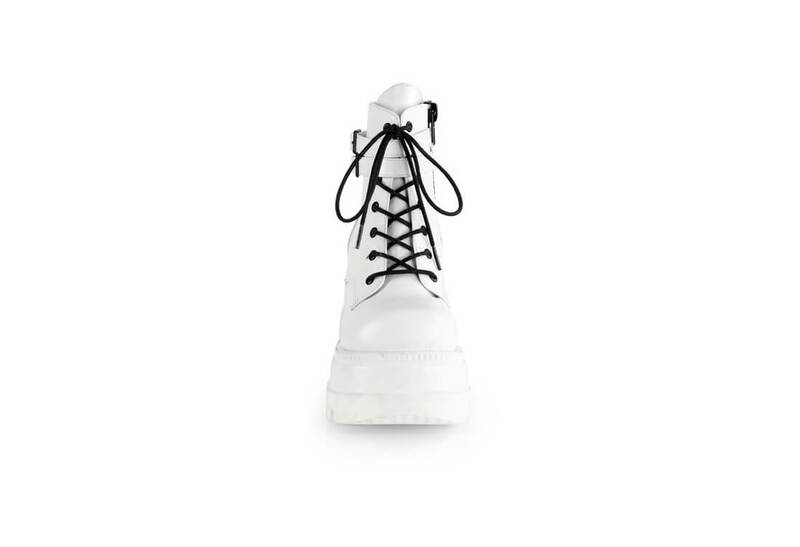 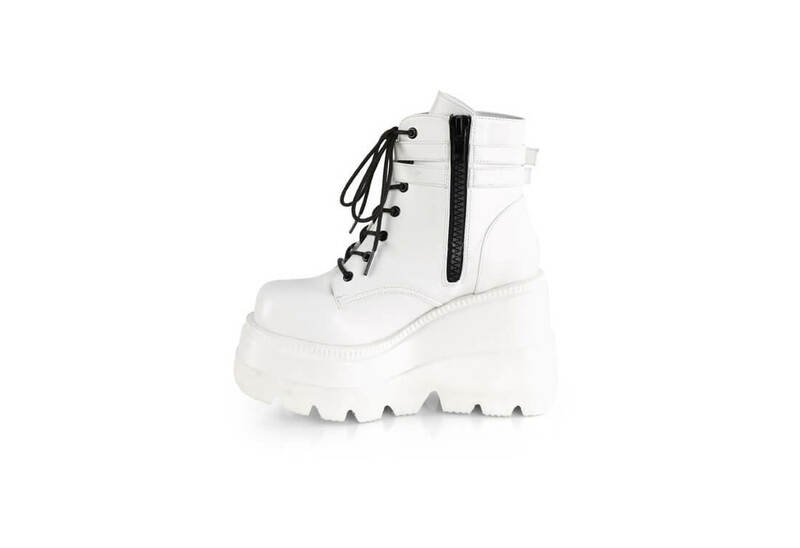 The Shaker-52 is a pure all white lace-up platform boot with a 4 1/2 inch platform. 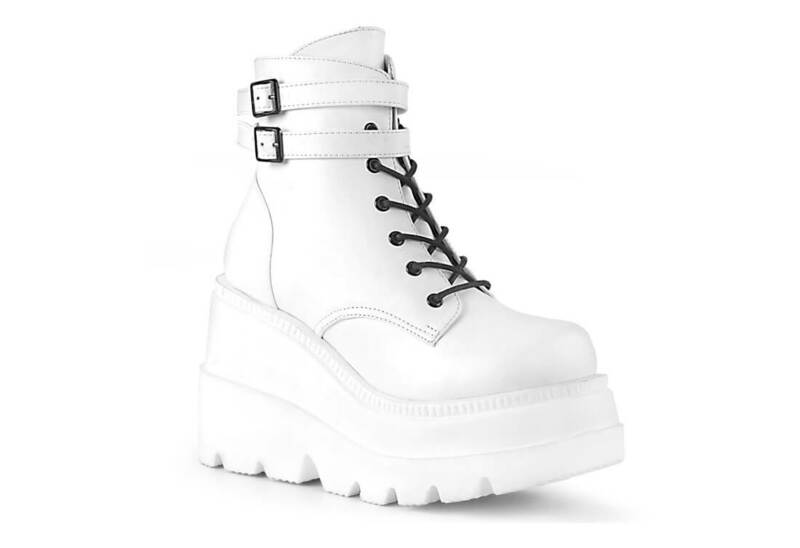 It comes with a double strap at the ankle and has a black inner zipper.